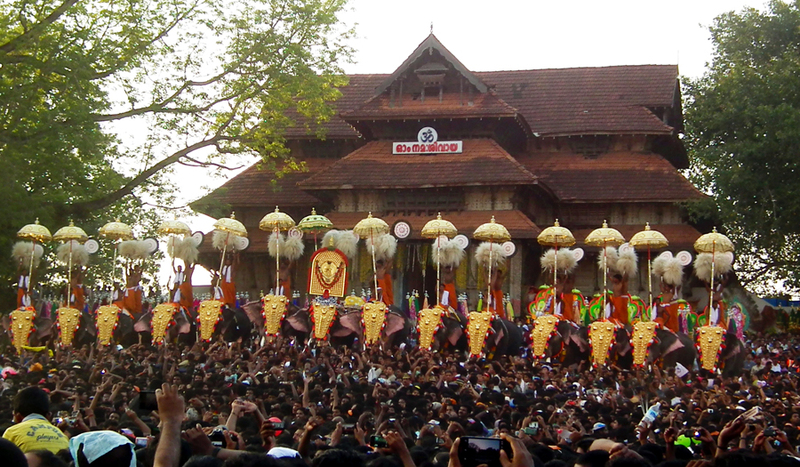 The Thrissur pooram(festival), is celebrated in the month of Medam (mid-April to mid-may) as per the malayalam calendar.The main features of the pooram (festival) are hundreds of decorated elephants with their nettipattam (decorative golden headdress), the beats of panchavadyam and the the magnificent display of fireworks.Vadakkunnathan temple is a mere spectator,lending its premises for this great festival which is celebrated by two rival groups Paramekkavu and Thiruvambadi. The Kerala Kalamandalam is located 32km north-east of Trichur at Cheruthuruthy.This academy is a distinguished centre of excellence in Performing Arts, which spearheaded the movement of cultural renaissance in Kerala.It has been invariably the best institution in India imparting training in and conducting performance of Kathakali, Koodiyattam, Mohiniyattam, Panchavadyam and Thullal. 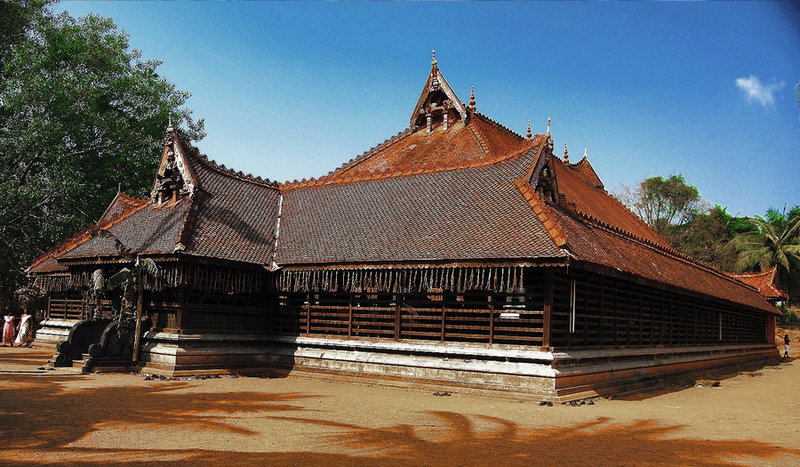 Guruvayur Sree Krishna Temple is located about 29 km from Thrissur. This temple is dedicated to Krishna and a famous pilgrim centre in india .The temple is also called the Bhoolokavaikunta - the heaven on Earth! 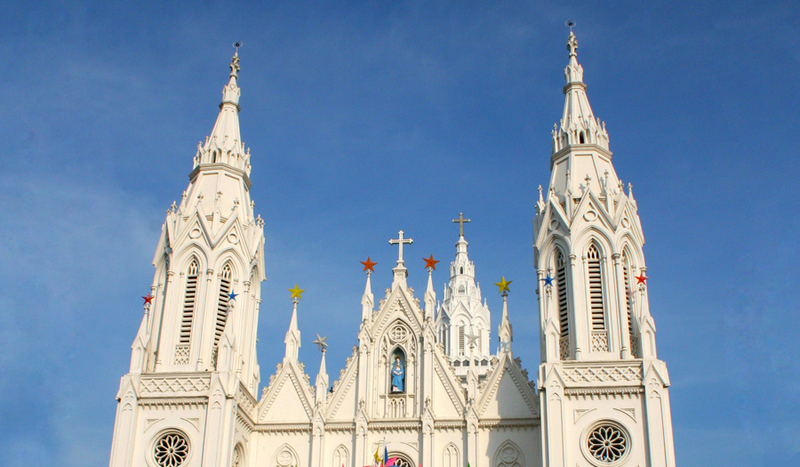 Basilica of Our Lady of Dolours (Puthenpally ) is the tallest church tower in Asia .It is about 5 minutes walkable distance.Its exuberant interior decorations include fine specimens of murals, images of saints and scenes from the scriptures. An array of 15 altars and musical church bells imported from Germany. 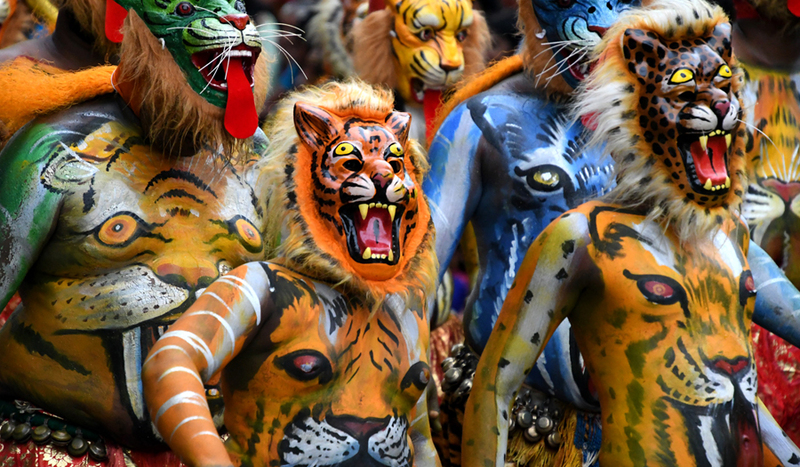 Established in 1958, the Peechi Wild Life Sanctuary stretches over an area of 125 Sq.km. The sanctuary is home to more than 50 species of orchids and medicinal plants, apart from 25 species of mammals, over 60 species of birds and 10 species of reptiles and snakes. Besides, tigers, leopards, Wild Dogs, Spotted and barking deer are seen here. Ponmudi peak, at a height of 923 meters,lies near Peechi sanctuary. 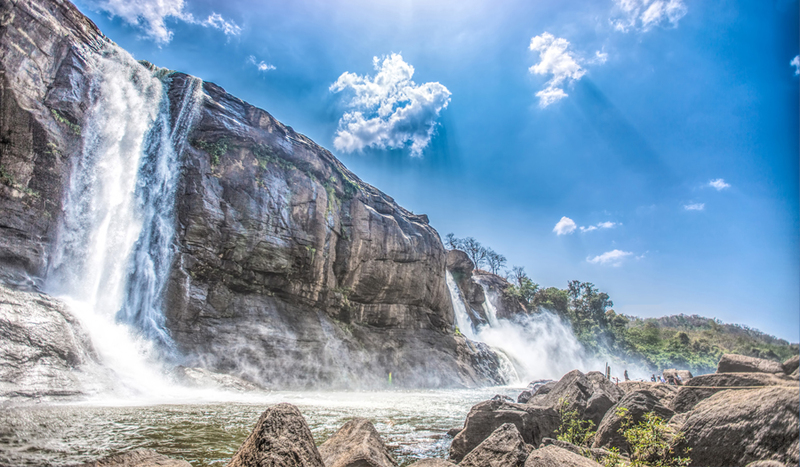 Peechi village, which is 23 km away from Thrissur, is famous for this dam. The dam is built across the Manali River. The colorful botanical gardens and the fountains enhance the beauty of the place.